LinkedIn Is on a whole other level when it comes to social media marketing. This has been a factual statement in recent years and, undeniably, this fact carries on in 2019. After you read this post, it should be clear to you why LinkedIn is a must for B2B social media campaigns. These professionals include 61 million senior-level influencers, 40 million decision makers, 10.7 million opinion leaders, 6.8 million C-level execs, and 3 million MBA graduates. These professionals are joining for the primary purpose of networking, but also to engage brands, find opportunities, and find information that is relevant to their fields and other areas of interest. This in itself is a very different mindset that professionals have when compared to their interactions on other social media platforms. 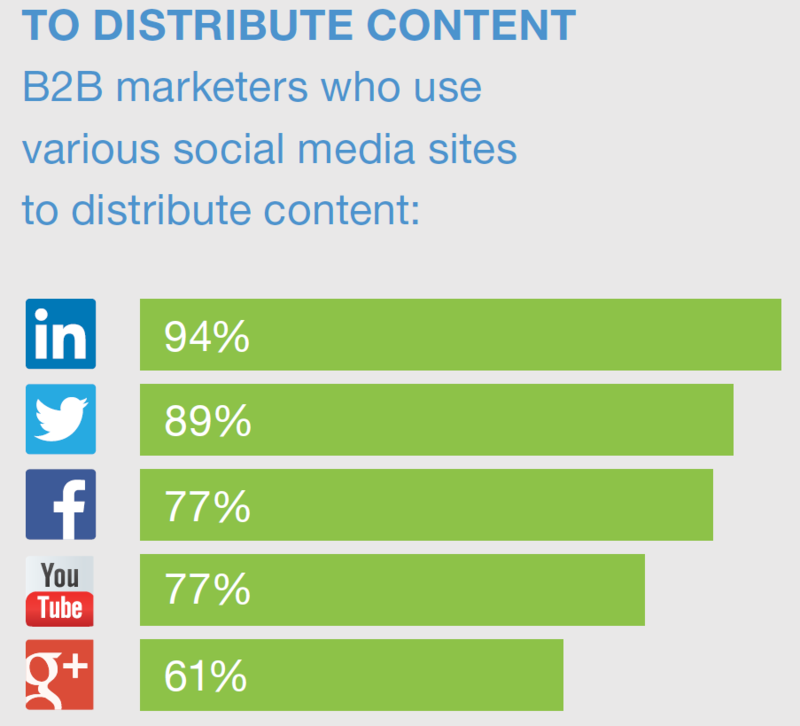 80% of social media B2B leads come from LinkedIn followed by 12% Twitter and then 6% Facebook. Thought leadership influence sales more than marketers actually realize and this influence continues to grow. LinkedIn has several features that help leaders assert their position as thought leaders in a specific domain. These features include providing a platform to create and share high-quality content, sharing personal profiles, participation in professional communities especially answering questions, addressing industry concerns, and deliberating on the way forward. Through LinkedIn, professionals are also able to identify influencers and engage with them. LinkedIn is the perfect social media platform to increase brand and professional online presence as well as improve reputation. This can be achieved by using the ‘update status’ functionality, for both brands and individuals. This information is then displayed front and center on an account profile. There are several opportunities for B2B lead generation and sales. For example, mentioning exciting content. Professionals in the LinkedIn community can also listen, analyze, participate, share, network and respond to content within the platform without much restriction. Those asking questions can link up with those providing the answers to these pain points within the platform, and this often evolves the new relationship towards closing a deal. LinkedIn professionals often maintain their profiles and update their personal information as soon as any significant changes happen. For example, if a professional gets promoted or changes jobs to a different company, they will update their status. B2B sellers can keep up with the professionals that they need to engage by simply following them on LinkedIn and building strong, long-lasting relationships. In essence, LinkedIn is like a social CRM. Beyond ‘being like a social CRM’, LinkedIn easily integrates with other platforms that are actually CRMs to give the B2B marketer even more functionality and integration with MarTech tools. Like other social media platforms, LinkedIn has a social sharing button that allows audiences to share content that they like. Since the people reading the content are often professionals, they will tend to share the content with other professionals. 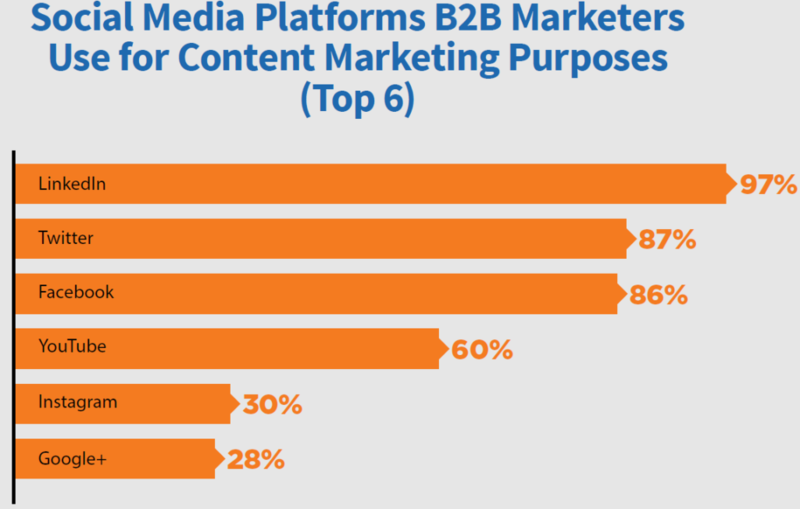 By far, LinkedIn content marketing is more popular than any other type of social media content marketing including B2B Facebook content marketing. Facebook ads are extremely popular among marketers in the B2C space. However, on Facebook, the B2B marketing base is severely underserved. LinkedIn ads do not just make up for the opportunity that is underserved on Facebook but also provides the ideal platform to serve professionals, brands, influencers, and B2B businesses alike. What’s more is that, unlike other social media platforms that are mostly banned on work computers, LinkedIn is seen to be a productivity tool. This opens up more opportunity for interaction and engagement on LinkedIn throughout the day. ABM has been growing fast in the B2B world. In 2017, 34% of marketers had a form of ABM in place. A year later, 52% of B2B marketers were confident that they would have an ABM strategy in place within the next two years. The growth of ABM is not just because marketers report higher ROI by using it, but also because it has a transformational effect on sales-marketing alignment and B2B marketing analytics/measurement. LinkedIn provides plenty of opportunity for lead generation and innovation in the ABM space especially for the B2B brands and marketers that leverage LinkedIn data to target ABM. There has been a rapid uptake of B2B video on LinkedIn that is being used for product demonstrations, customer testimonials and other tailored uses throughout the funnel. As such, B2B video is being used at the top of the funnel for engaging professionals emotionally, and for brand awareness in middle and bottom of the funnel activities, including integrating calls-to-action using LinkedIn Gen Forms. Online marketing and specifically social media marketing have been driven by B2C initiatives for the longest time. These initiatives were customized to serve the B2B world as an after-thought. Thankfully, LinkedIn which was targeted at professionals right from the get-go has become the natural home for B2B not just in the social media world but in the larger B2B marketing world as well. 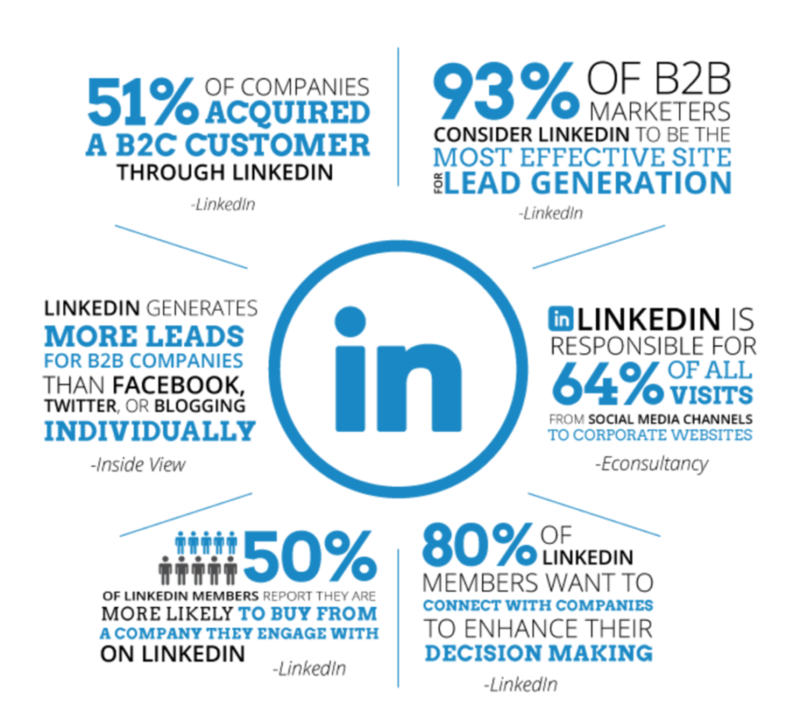 This is why LinkedIn is on a whole other level when it comes to B2B social media marketing.